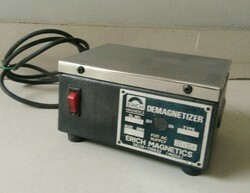 Manufacturer & Exporter of Demagnetizer. Our product range also comprises of Lifting Magnet, Magnetic Pulley and Magnetic Drums. 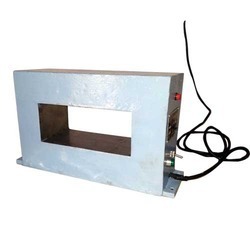 Capacity 5"x6", 6" x 9"
We are among the leading names in the market offering Plate type Demagnetizer. 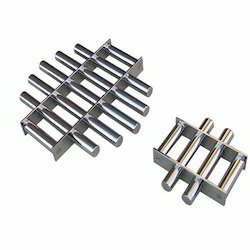 These are utilized in the tool room for the purpose of the removal of magnetic residual from various types of steel. Just slide the tool at a uniform speed across the surface. These can be utilized for demagnetizing objects of varying dimensions. These are highly power efficient. These have been designed to provide long term service to the customers. •Sizes: W- 5"x 6", W-9" x 6"and W-4.1/2" x 12"
Extract small and fine iron when installed in steep-sloped, odd and irregular-shaped hoppers, vertical closed chutes and ducts. Available with Erium® Rare Earth in all models, including drawer and wing-type grates, Grates in Housing and Rota-Grates. With our years of experience & in-depth knowledge in this field, we are engaged in offering a quality-assured array Demagnetization Unit. 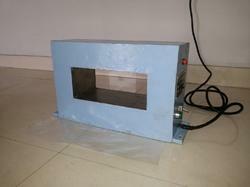 We are manufacturing these Demagnetizers as per customers specification and requirement.